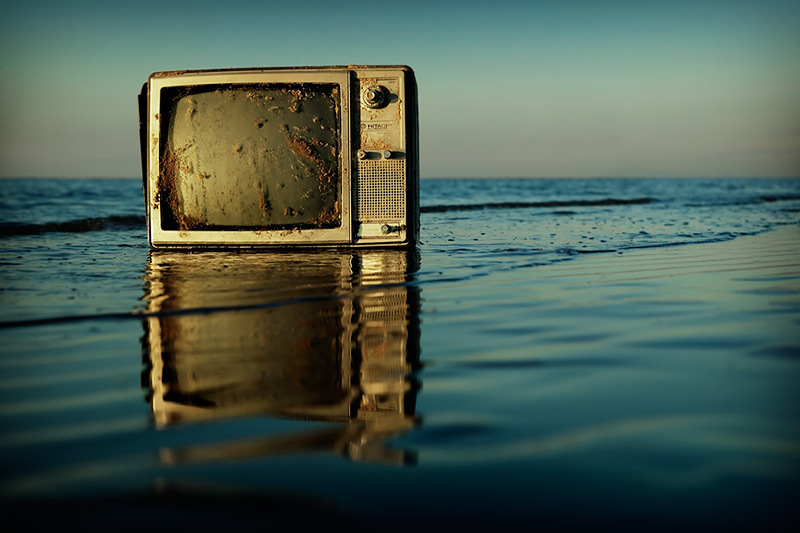 John and I went for a walk along the beach this afternoon – between Blackpool and St. Annes – and came across this TV. Admittedly, it was a little further up the beach when we found it, but it would have been dark by the time the tide came in so we took the liberty of moving it. I think that John will be putting up a similar shot this evening and I'll be putting up a black and white version tomorrow.